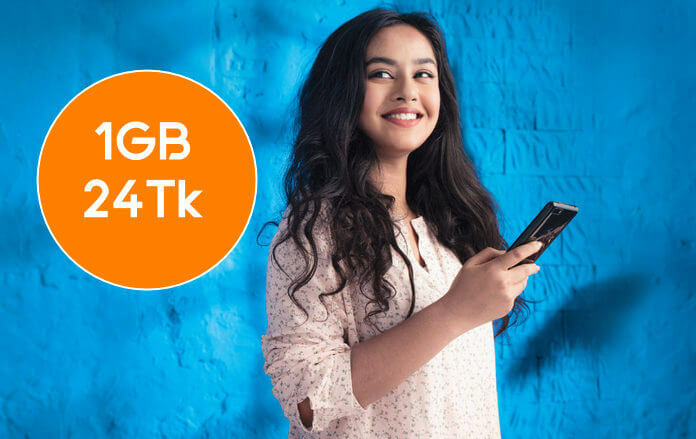 2GB 17 Tk Grameenphone Internet Offer 2019 for 30 Days (Special Subscriber)! 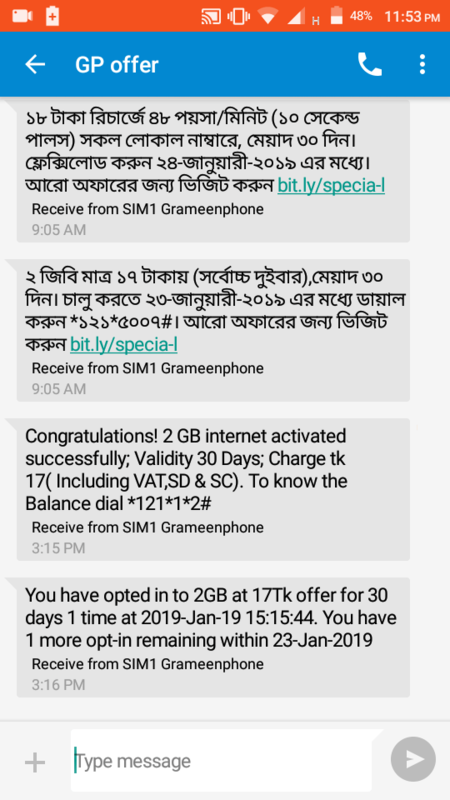 If you do not use the internet on your GP SIM, then start using the internet now because Grameenphone offers 2GB internet only 17 Taka validity 30 days. Friends, this offer will only get specific GP customers who have received SMS. The offer is mainly given to the Grameenphone companies for those customers who do not use the internet for many days. After dialing the code you will get a notification, Check the message accurately and make sure to offer your offer. The offer is applicable to some special customers. Dial *121*5007# to activate this special offer. 2G/ 3G/ 4G support the pack. Total 4GB internet buying possible. *121*1*4# Dial now view MB balance. Try to buy this offer in January 2019. VAT, SD, included the price. To get great offers, please like our Facebook page and share this post with everyone. এর নামি কপাল, রুম্মেট পায় আমি পাইলাম না, ৪জিবি নিল/ সিম কোম্পানি গুলো খুবই খারাপ যারা বেশী টাকা খরচ করে তাদের কোন অফার দেয়না। আচ্ছা এই অফারটা কি আমি কিছু পর আবার ট্রাই করে দেখব? *121# dial korun er por My Offer theke nijer special offer check korte parben, ar sim company gulo sob somoy jei sokol sim a internet use kom hoy tader ke diye thake. Thanks for the comment and please stay with us. Dhonnobad amader sathe thakar jonno.